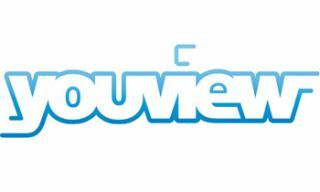 YouView reveals potential content partners for web TV service | What Hi-Fi? YouView, the subscription-free internet TV service due to launch in 2012, has today revealed details of 29 organisations interested in providing content for the platform. They represent a range of free and paid content providers covering entertainment, mainstream and independent films, music, news, factual programmes, sport, arts and local content. Among those who have expressed an interest are BSkyB (which previously tried to block YouView), Film 4oD, Lovefilm, Blinkbox, Blinkx, Radioplayer, Stream UK , STV, UTV, woomi and Guardian News & Media. "We're delighted with the response we've had from the creative industries," says Richard Halton, YouView CEO. "We want all types of content providers to be able to deliver their content via YouView so viewers get the best possible choice." Last month YouView, backed by the BBC, ITV, BT and Channel 4, announced it would delay its launch until 2012, although trials are expected to start later this year. The technical specifications for YouView will be published on April 14th.